Our exquisite 4 piece, 18 oz wine glass set features luxurious and luminous Italian crafted glass that's sure to turn heads. -Its stout bulb shape feels natural and comfortable when cradled in the hand while also allowing the red wine to breathe enhancing its flavors and releasing its decadent aromas. 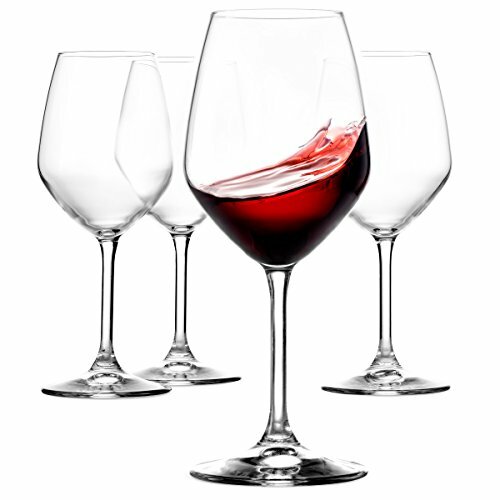 Made in Italy, this exquisite 4 piece, 18 oz wine glass set feature luxurious and luminous Italian-crafted glass that's sure to turn heads and add beauty to your bar top.